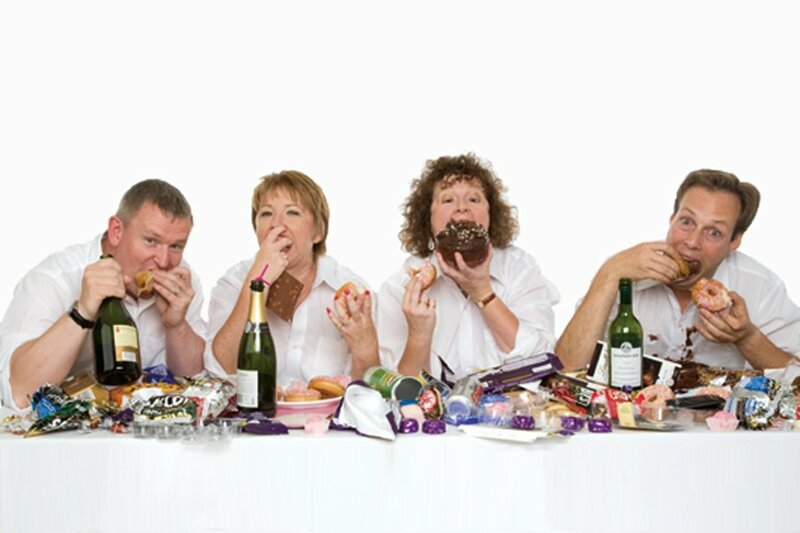 After 20 years of touring, we now concentrate on private functions including parties, charity dinners, Mess events, etc, and ‘on request’ public appearances such as music societies, festivals or special events. For these events we offer our top three shows of all time; the show fans adore, audiences love and bookers can relax about! Our No. 1 show! Golden Moments from Opera continues to thrill with hilarious scenes and heart-rending arias from the world’s favourite operas. Thousands of people across the UK and beyond have enjoyed this “chocolate box” assortment of opera highlights, hand-picked for each show by the HSO team. Hatstand’s unique, informal presentation style and quick fire costume changes ensure Golden Moments from Opera is ideal for any event. 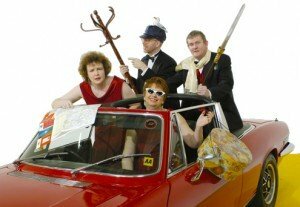 Our rib-tickling romp through everyone’s comic opera favourites and a few of our own too, with laughs and surprises from Mozart, Rossini, and more. What could be better than a good dinner with excellent company? A good dinner with excellent company and opera! With A Bite at the Opera, your guests are serenaded with staged extracts from the world’s favourite operas, presented in our unique fun and informal style. Hatstand provide the ultimate digestif of either 2 or 3 x 20 mins slots in between courses, to create an entertaining evening of fine food and music. Hatstand Opera don’t do concerts or galas, we do superb shows for unusual spaces that look great and sound even better. So, we can create tailor-made performances to suit any venue, any occasion, any celebration. At the heart of every bespoke show is the same-successful formula of opera highlights, presented in an informal style that engages and delights. We pick and choose items from grand opera opera, operetta and sometimes classic songs from musicals to create an entertaining blend that is as much at home in an intimate space as on a stage. Call us to discuss your requirements on 01252 511 762. These are fabulous opera shows we have performed in the past, usually as commissions for specific events or venues. Some have gone on to become our touring shows, others were so specific that they were performed once or twice. 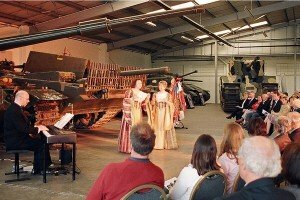 We can also occasionally ‘rebadge’ shows to suit a client’s venue, so in the past “Golden Moments” has become “Opera in the Barn” or “Opera Under the Stars”, for example. Free Opera in the Park in Portsmouth!